Hello all! Boy am I behind. When my baby arrived earlier than expected, I ended up with blog backlog and I’m slowly attempting to weed through it. You will all be inundated with posts in the next week, so prepare yourselves! Speaking of preparing.. As parents we realize that part of the process of preparing for a baby is the research. Getting to see and hear about products and birth information. 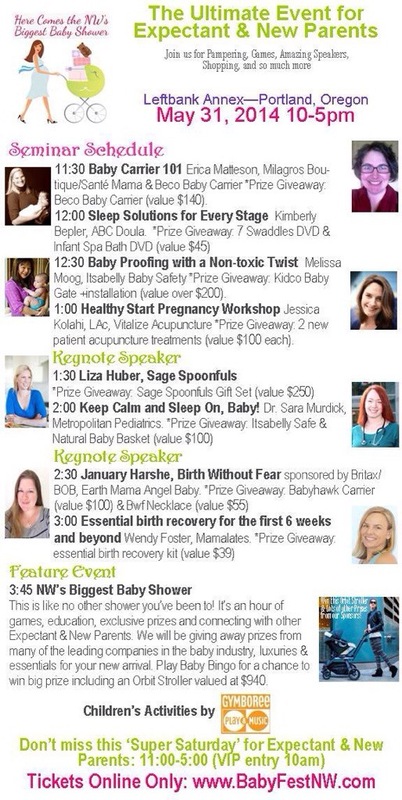 That’s why I am thrilled to be part of the VIP Bloggers attending this year’s Northwest’s Biggest Baby Shower in PDX. I will be giving away 10 standard couples tickets today! Then you can get in on the experience, too! Just head on over to Facebook for a chance to enter!